Last winter I was so focused on my needs as a winter biker that I neglected the needs of my winter bike almost entirely. The lack of care resulted in my little pink Diamondback’s demise. It was clear that restoring my bike to a useable condition would take more money than it was worth. 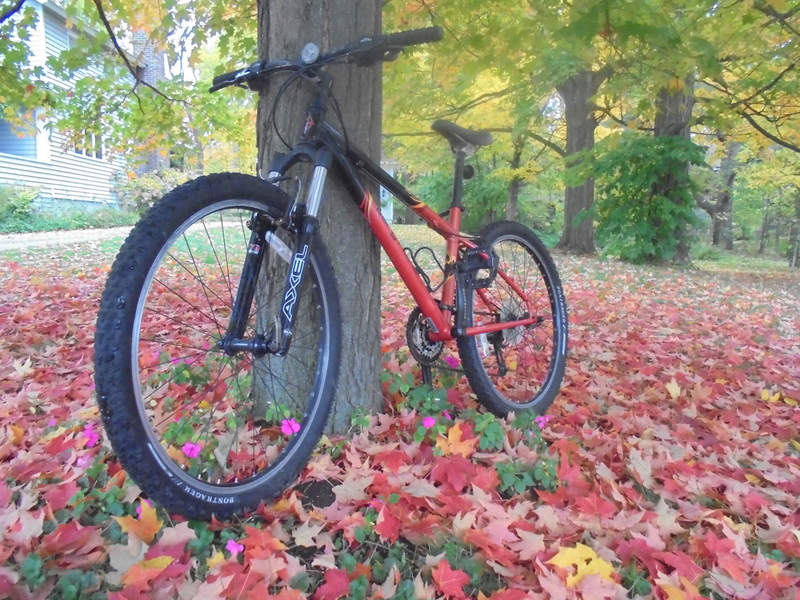 I needed a new (to me at least) mountain bike to stick studded tires on. Today my dad and I dropped off my brother and sister at the Syracuse airport. Then we went bike shopping and found this little guy. He is a 2007 Gary Fisher Marlin and as soon as I went around the parking lot, I knew that this was my new winter bike. It just felt right. So I brought him home. Did my new mountain bike deserve the same treatment as a road bike? I guess not, because I started to wheel him into the shed. But I couldn’t do it. Instead, I picked him up and carried him up the stairs. He is talking to my Trek right now. Soon it will be time for a proper test ride. I would never have been brave enough to attempt biking through the ice and snow without the helpful information I found on the internet. 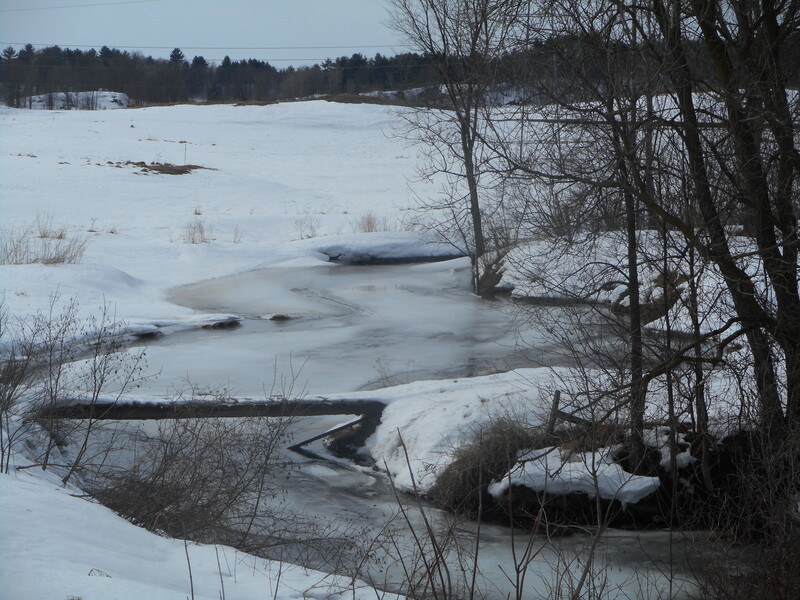 That coupled with the knowledge that real, normal people were out there doing it gave me the courage to give it a try. 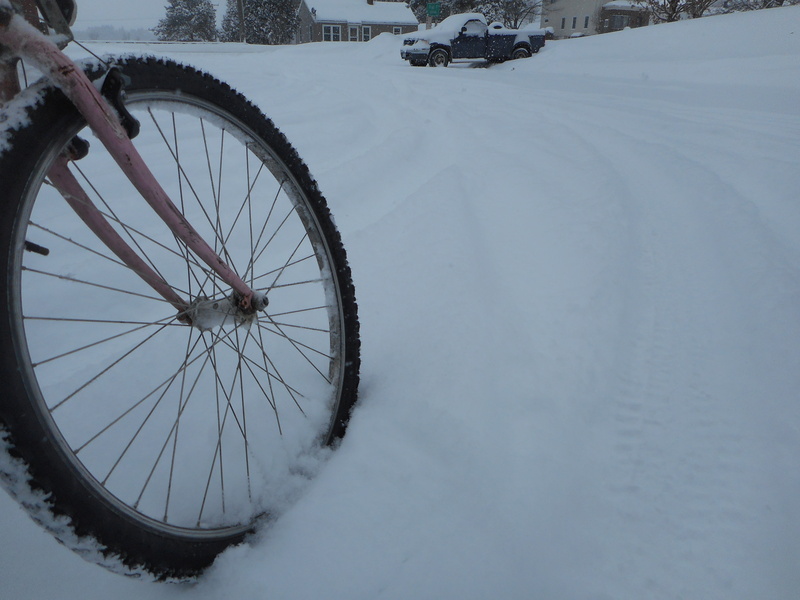 These links were the ones that have been key in making my winter of biking doable and fun. Jim introduced me to this website and I am not sure whether to thank him (because it has a ridiculous amount of great info) or never listen to him again (because I spent an afternoon reading through all of the posts about bike lights and now I want all of those cool lights for myself). This website has some cool DIY tips which I was going to take a stab at…until I realized my sewing machine was broken. 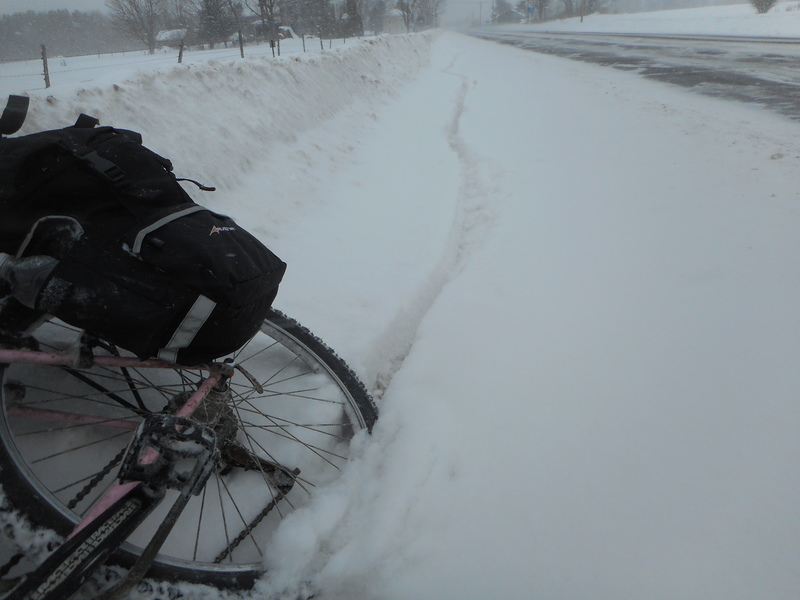 A nice article with an overview of many aspects of winter biking.